For those with rosacea and red, inflamed or hardened skin. Repair the natural beauty of your skin, neutralise excess oil, reduce the appearance of redness, soften hardened skin and naturally purify acne prone skin. 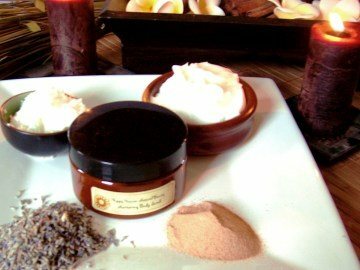 Repair the natural beauty of your skin with this wonderfully soothing lotion. Natural Vitamin E cools and moisturises the skin. Rosewater soothes, refreshes and gently tones skin and pores. Aloe Vera Juice and Cypress Essential Oil soothe, cool and reduce the appearance of redness. Soothing Facial Lotion will leave the skin feeling soft, refreshed and soothed. Wonderful to use first thing in the morning to provide all day protection from the elements. "I have been using the Soothing Facial Lotion for 1 week with wonderful results....within 2 days the raised sores and dry skin seemed to vanish! I am sooo happy with the results of the cream in such a short time. My face is becoming so much smoother and I have very few “red explosion” episodes. I am so much happier!"